Ben Uri is an Art Museum and educational charity, founded in July 1915 in Whitechapel, East London by a Russian émigré Jewish artist, Lazar Berson. Known as 'The Art Museum for Everyone', the museum collection and programming focus on the universal themes of art, identity and migration. The Ben Uri Collection is internationally recognised and encompasses over 1300 works from the start of the 20th century, including pieces by Auerbach, Bomberg, Chagall, Epstein, Gertler, Grosz, Kossoff, Liebermann, Pissarro, Solomon, Soutine, Ury and Wolmark. FREE admission to all Ben Uri exhibitions supported by preferred partner Manya Igel Fine Arts. open 7 days a week: Monday to Friday 10am – 5.30pm. On Saturday and Sunday we’re open 11am – 5pm. Underground stations: St Johns Wood, Swiss Cottage and Maida Vale are about 15 minutes walk away. Overground stations: West Hampstead and Kilburn High Road are within walking distance. By bus: Buses 189 and 139 stop at the junction of Abbey Road and Boundary Road. Bus 31 stops at the junction of Belsize Road and Abbey Road, a short walk from Boundary Road. 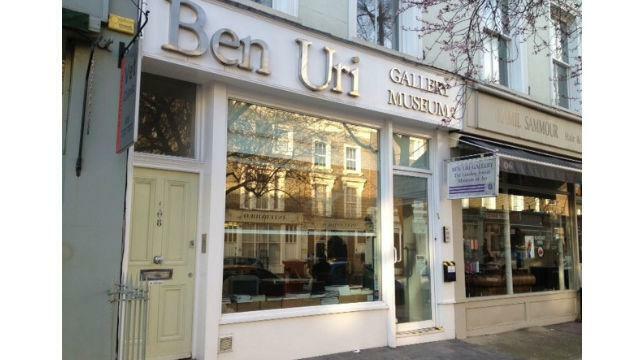 Is Ben Uri Gallery and Museum London: Art, Identity, Migration your business?